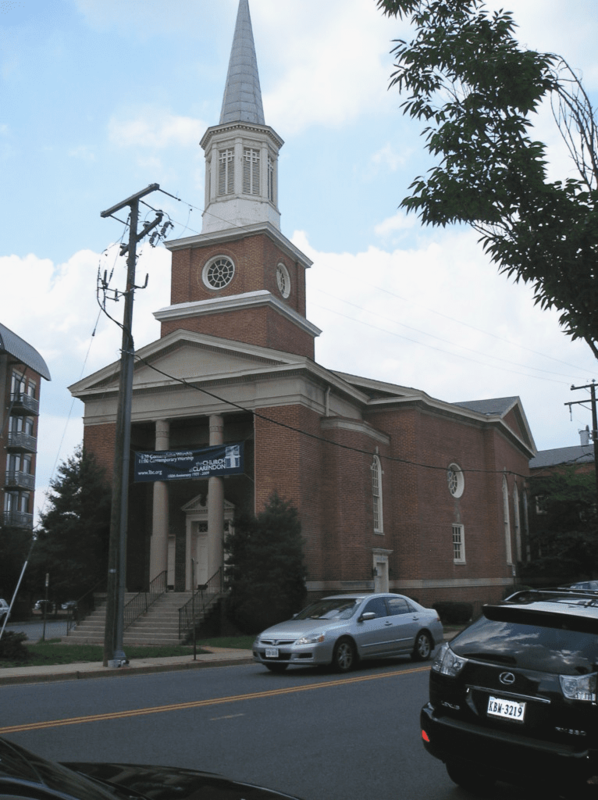 With its organ, rock band and contemporary worship services topping 90 dBA, this church likes to raise the roof on Sunday mornings. But just above it, new apartments meant designers at this unconventional mixed-use project by Bozzuto Development Company had to contend with potentially disruptive noise going in both directions. Our engineers studied the architectural and MEP drawings to identify all possible sources of noise and the routes it could travel. The plans preserved the facade of the church, while making more use of its valuable real estate by adding eight floors of apartments above the sanctuary. 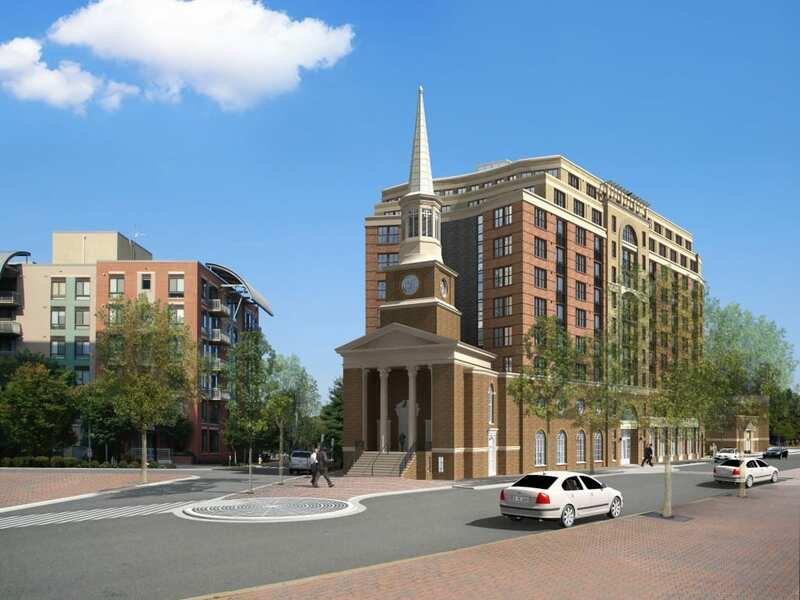 In addition to footfalls and other sounds from the apartments potentially interfering with quite moments in the worship space, noise also would emanate from an adjacent parking garage, neighborhood traffic and the HVAC system. To keep these sounds and the congregants’ music contained, Phoenix Noise and Vibration designed a spring-isolated gypsum board ceiling and wall partitions for the sanctuary. We also tailored noise and vibration mitigation for other potential trouble spots, including rooftop AHUs, emergency generators and large air shafts running through a wall separating the sanctuary from the parking garage. Finally, we specified types, amounts and placement of acoustic products to optimize the sound quality within the church. The spring-isolated ceiling proved to be the most effective solution to separate the building’s two distinct uses. With its low weight, architects incorporated it into a sculptured glass fiber reinforced gypsum board ceiling and the 8-inch concrete slab construction. They also made use of our material recommendations and specifications for duct velocity and other parameters for the HVAC system to keep noise well within design limits.